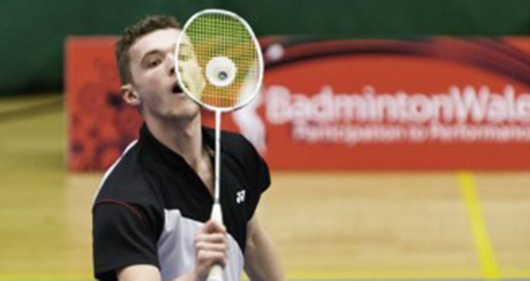 Badminton Wales is the sport's governing body in Wales. Our goal is to develop badminton as a sport for all, and to encourage the best players to progress through the structure at club, county and International level. The Welsh Badminton Union was incorporated as a Limited Company on the 8th December 2003. The Union elected a Board of Directors who are responsible for the running of the company. Each Director is appointed for a maximum period of 3 years. Roll of Honour - A list of the significant achievements by Welsh players in recent times. Life Members - A list of those members who have been honoured with the Badminton Wales Life Member and Meritorious award for an outstanding contribution to Badminton in Wales. The IBF (now BWF) Meritorious award is the highest honour to be presented to a volunteer from a member nation for an outstanding contribution to the sport of Badminton. National Winners - The Senior Welsh National Championships were first played in 1937 in Llandudno, North Wales at the delightful Craigside Hydro hotel, a rather grand hotel with its own badminton courts. The singles and level doubles events were not introduced until 1960 and 1959 respectively. Welsh International Winners - In 1928 the North Wales Badminton Union transformed itself into the Welsh Badminton Union and the annual Welsh Championships were instituted, the first being played in season 1927-28 at Wrexham.